I published the first section of this discussion not long ago and it seems we are getting reasonable feedbacks, for me I don’t like keeping people waiting for long so i thought it will be nice to talk about How to Build a Successful Blog From Scratch Section 2. In section one, we treated so many things threatening your success as a Blogger. It is a must read so If you’d missed it, then I strongly recommend you go read it before going ahead with this. Along the line if you probably already have some questions from last section,let us know on the comment box below, I will try to keep up with you. Am going To start this Section by asking a very simple Question: How did you start your Blog ? When starting up your Blog, you’ll come across previously existing Blogs, much bigger, more fans, more cash, better design, very good content…and you’re left wondering if you can compete. One thing you must do in the midst of all these, is to identify your strengths & weaknesses, then build your strategy around them. Trying to face blogging as a game or rules will get you nowhere. I’m not asking you to see other Blogs as rivals or enemies but getting to the top is pretty much a battle. Pick a niche you’re passionate about, you’ll find it easier to succeed. When I was child, I know am going be an Engineer, but filed of engineering I never know. The admission process was not easy so I take whatever course allocated to me since it is a fiels in engineering…. lately I discovered that all I really Wanna be is a computer scientist so i stick to it, take a couple certifications and develop myself with time. Being passionate is the key to success in every thing, not ‘knowledgeable’ or ‘profit oriented’. When you have passion for a niche, you’ll find it easier to learn and talk about it. Producing content would be easier as you’re in familiar terrain. If you enjoy what you blog about enough then you’ll be encouraged to gather more knowledge about it. If you pick a niche because it looks cool, is in trend or your friends are into it then be prepared for a long haul. Very importantly, you don’t have to be a Guru to Blog, the willingness to learn (and learn fast) is all you need. Know your visitors, the positive energy will help you As a less known Blogger, every visitor to your Blog is Golden. If you’re able to get a phone number or email address then try to check up on them once a while. Don’t forget that 200,000 monthly page views begins with 20 monthly pageviews, If you can do anything extra to help them find something on your Blog then go all the way.You’ll be amazed how fast you’ll attract more people. Kick out everyone blogger and any form of robots that will rocket your traffic today and tomorrow only.. traffics will come on their own time, wait for it. I got this Idea on twitter back then in my early stage of blogging while I was struggling with traffic… It said and I quote ‘Write good contents and take your rest.. traffics will come on their own’. Is anyone always asking your for solution? Monitor your traffic source, and know your blog Visitors. Everybody else is conscious of this tips. Apparently, if your not getting much traffic and decided to do something stupid to increase your daily pageviews by submitting your website to be crawled by bots daily. you will actually get ‘5,000 views or more today today’ on your Blog, but let me tell what that means : 5,000 junk views. In so doing this, you have successfully added your blog on many Blacklists just because your impatience of today .If nobody copies or reference your content, then you know you still got works to do. When you are out of ideas what to write about, you are better off not copying other people’s content because it’ll come hunting your Blog later. Your focus should be to write content so well formatted and useful that people will naturally engage with it (comment or share). If nobody is referencing any of your numerous posts then its a sign that you might be doing something wrong. In Blogging, less is usually more. Ask for help, you’ll be amazed how much other Bloggers in your niche will contribute. You’ll be surprised how much established bloggers are willing to help you for free. Its also important that you keep such relationships mutual. If all you do is ask / only contact them when you need something then you’re a Parasite. Try to genuinely contribute (in your own way) to other Bloggers you wish to build a relationship with. If you use their content, show appreciation by giving credits. I recall writing an article on how to build a responsive website that is Simple and easy to navigate : This was one of the reasons why My google adsense approval delayed for long. If you know any website which people visit constantly just because it has an awesome design then tell me! in the comment box below. Visitors are interested in getting what they have come to your website for. If you’re unable to deliver that on time then you’re at a loss. I recall visiting a website and having to wait several seconds because an awesome ‘loading website’ animation hijacked the entire page till the whole content was ready to be rendered. I’ve also come across Blogs that are a no go area on mobile devices. All of these won’t help you. most times the browser will tell you that a page is stopping your site from loading giving you options either to wait or kill it. Blog that pays for itself); this is a crucial milestone. 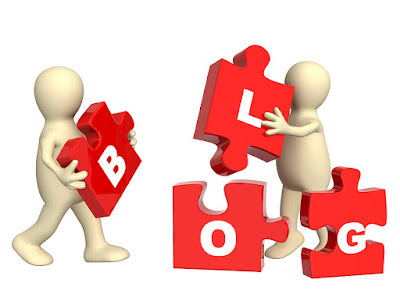 Try to build a Blog that will live long even without your presence. Very few Bloggers have continuity in mind. What happens when you travel, fall sick, have exams or even pass on? Everything you do should be aimed at building your Blog around a brand and not a single individual. Every decision you make should be with the goal of having employees some day. If you’re however OK with running it all by yourself then that’s OK.
← Building a Successful Blog From Scratch .